Ain’t no love in the heart of city, ain’t no love in the heart of town. Effortlessly incorporating his instrumental zeal for the saxophone over funky rhythms and jazzy melodic beats, it’s no wonder why the masses are easily won over by GRiZ’s live performances. 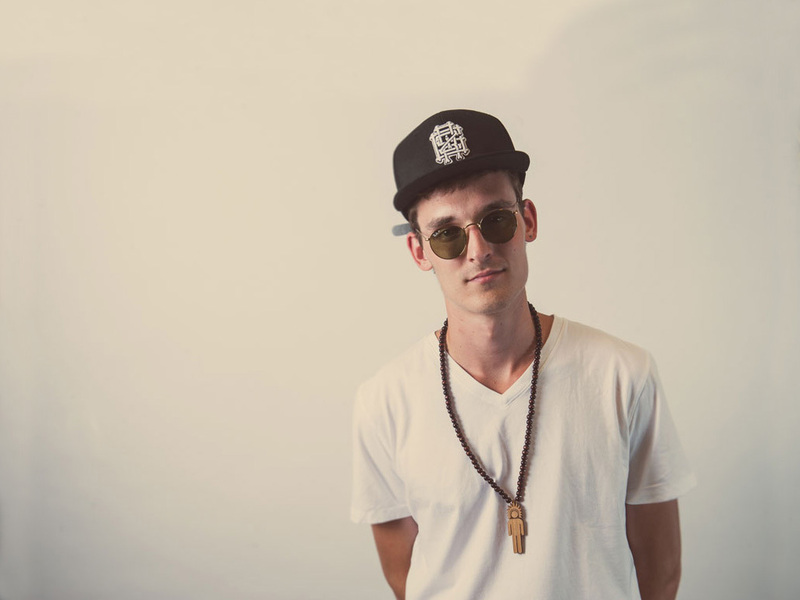 And thanks to the power of social media, with his first stint as a DJ booked via SoundCloud, Grant Kwiecinski (aka GRiZ) has been doing just that for about two years now. Like many young producers out there, GRiZ started his musical journey into the spotlight by spinning small house parties within his local college scene. Unlike many young producers, however, the Michigan State University student was playing tunes of his own at the time, which stemmed from his self taught production skills at the age of 14 through the procurement of Fruity Loops from his friend’s older brother. A musically trained ear from the start, GRiZ played the alto saxophone since elementary school and took piano and saxophone lessons his entire life. Tie in the fact that GRiZ lists his main creative and musical influence as Disney’s Fantasia, and you have one creative and diverse musical prodigy. “I watched it so many times as a kid that I burnt out the VHS tape,” Grant explains. Although GRiZ cites his remix of Aerosmith’s “Dream On” as his big break, enabling him to showcase what he was capable of doing as a producer at the time and leading him to release the tracks on his SoundCloud that would lead to an actual gig, it wasn’t until his first album, Mad Liberation was released to the public as a free download on September 14, 2012 that his career truly skyrocketed. “Something for everyone” certainly rang true soon thereafter. A native of Detroit, GRiZ was honored to play during Detroit’s renowned festival, Movement Detroit. The artist’s life had now drastically changed in the most positive way, going from playing free shows in a small college town to opening up for Bassnectar on his fall tour, playing alongside Big Gigantic on their Uprising Tour, receiving massive support from Pretty Lights, and even headlining his own tour in less than a year’s time. Festival gigs became a regular weekly occurrence, landing GRiZ spots at some of the world’s most legendary venues and events, including Coachella, Electric Forest, Lollapalooza, Outside Lands, Lightning in a Bottle, Governor’s Ball, Diplo’s Mad Decent Block Parties, Summer Set and the legendary Red Rocks Amphitheater. On top of the many hats that GRiZ wears daily, GrizMatik was born. Just last year, GRiZ and Gramatik joined forces to create the side project, GrizMatik. Since the release of their first single, "Digital Liberation is Mad Freedom,” the dynamic duo have proven to be one of the most perfectly matched collaborations of their genre, continuing to play impromptu sets together at various festivals such as Summer Camp and Movement Detroit, along with official sets together at Electric Forest and Global Dance Festival at Red Rocks. During their combined sets, GrizMatik infuse elements of hip-hop, electro soul, and future funk all while incorporating live instruments into the picture. Over the last four months, the preview for GrizMatik's latest single, "My People” racked up over 150,000 plays on SoundCloud and has been a massive hit ever since. At the same time, GrizMatik announced their biggest show ever to date, The Massacre Begins, at the 1st Bank Center Amphitheater on Halloween in Bloomfield, Colorado with supporting acts like heavy hitter A-Trak. ThisSongIsSick released a limited amount of Early Bird Presale tickets, selling out the floor seats in under 10 hours. What more could this passionate 20-something do in the remaining months of 2013, you say? “Gettin’ Live,” the first single off of his latest album, released on September 14 (which is also the first birthday of his Mad Liberation LP), has over 300,000 plays on SoundCloud already and is also available as a free download. GRiZ plans to top off the year’s events with more gigs in Chicago, Detroit and Denver, along with more Mad Decent Block parties, music festival slots across the United States, as well as continuing his first ever headlining tour. Throughout August, GRiZ will embark on his first Canadian tour “Unbanned From Canada” in celebration of the removal of his ban into Canada from previous permit issues. The tour will travel through Canada making stops in Whistler, Vancouver, Calgary and Edmonton. In most cases it would be accurate that we “watch out for this artist,” but there is really no need to do so when an artist as talented as GRiZ is consistently all over the map, as will be the case for many years to come.